EarShot, the National Orchestral Composition Discovery Network, and Buffalo Philharmonic Orchestra (BPO) will present the Buffalo Philharmonic New Music Readings. Four composers, selected from a national call for scores, will hear their works read by the BPO under the baton of associate conductor Matthew Kraemer, and will receive feedback from mentor composers David Felder, Steven Stucky, and Robert Beaser, and the conductor and BPO principal musicians. The four composers selected are Michael-Thomas Foumai, Austin Jaquith, Nathan Kelly, and Carl Schimmel. The public is invited to a free reading session on Wednesday, February 9, 2011, no ticket is necessary. Over the decades, the Buffalo Philharmonic Orchestra has matured in stature under the leadership of William Steinberg, Josef Krips, Lukas Foss, Michael Tilson Thomas, Julius Rudel, Semyon Bychkov, Maximiano Valdes, and now Music Director, Maestro Falletta. 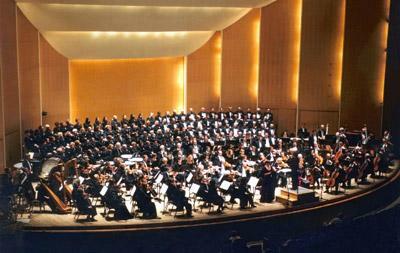 Since 1940, the Orchestra’s permanent home has been Kleinhans Music Hall, a National Historic Site with an international reputation as one of the finest concert halls in the United States. The BPO presents more than 120 Classics, Pops and Youth Concerts during a 37-week season and its award-winning education programs reach over 35,000 students per year. During the tenure of Maestro Falletta, the orchestra has rekindled a distinguished history of broadcasts and recordings, including the release of 15 CDs of a highly diverse repertoire on the NAXOS and Beau Fleuve labels. The BPO’s recording of composer John Corigliano’s Mr. Tambourine Man: Seven Poems of Bob Dylan, featuring soprano Hila Plitmann, on the NAXOS label, won Grammys in two categories. Its concerts are heard regularly in over 200 cities across the U.S. on American Public Radio’s Performance Today. As Buffalo’s cultural ambassador, the BPO has toured widely across the United States and Canada including a recent tour to Florida, the first multi-city tour since the 1988 European tour and the first outside of the region since Maestro Falletta led the ensemble at Carnegie Hall in 2004, its 22nd appearance there. The Buffalo Philharmonic Orchestra’s New Music Readings are a part of EarShot, the nationwide network of new music readings and related composer-development programs. The goals of the program are to create the nation’s first ongoing systematic program for identifying emerging orchestral composers, to provide professional-level working experience with orchestras from every region of the country, and to increase awareness of these composers and access to their music throughout the industry. EarShot is a partnership among American Composers Orchestra, American Composers Forum, American Music Center, the League of American Orchestras, and Meet The Composer. Through EarShot, 24 composers so far have been selected for programs with the New York Youth Symphony, the Memphis Symphony Orchestra, and the Colorado Symphony Orchestra, the Nashville Symphony Orchestra, and the Pioneer Valley Symphony (MA). Michael-Thomas FoumaiMichael-Thomas Foumai (b. 1987, Honolulu, HI) earned a bachelor in music composition from the University of Hawaii and currently studies at the University Michigan. His music has been performed in the US, China, Japan, South Korea, Indonesia and Thailand. His mentors include Robert Beaser, Tristan Murail, Michael Gordon, Xu Shuya, Jia Daqun, Neil McKay and Jon Magnussen. 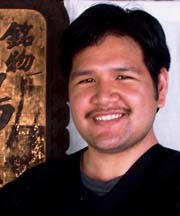 He has studied with Bright Sheng, Michael Daugherty, Peter Askim, Byron Yasui, Donald Reid Womack, Takeo Kudo and Thomas Osborne. Recent performances of his music have been presented at the Osaka College of Music, Shanghai Conservatory of Music, Yogyakarta Contemporary Music Festival, Thailand International Composition Festival, MidWest Composers Symposium, Fresno New Music Festival and the Calarts Theatre at Disney Hall. This performance of The Light-Bringer marks the first time Mr. Foumai’s work has been performed by a professional orchestra. The Light-Bringer symphony is inspired by the biblical fall of Lucifer and the title ofthe work is taken from the translation of Lucifer’s Latin name meaning, bringer of light or bearer of light. The work is based on manipulations of the infamous “number of the beast,” six hundred and sixty six and so the number six is embedded within the structure of the work. This can be heard on a small level with musical motives and sonorities being repeated six times, melodic and harmonic intervals of 6ths, a melody or harmony of six pitches and a progression of six chords. On a larger level, the work is built on six major sections with the main climax occurring roughly 666 seconds (11 min and 6 seconds) into the work. On a visual and performance level, tempo markings are all multiples of six. Austin Jaquith, a native Californian, began studying composition in High School with Jack Perla in Oakland, CA. In 1999 he enrolled at the Cleveland Institute of Music, studying with Margaret Brouwer and graduated in 2003 with a Bachelor of Music in composition. From 2003 to 2005 he attended the Moores School of Music at the University of Houston, where he studied with Robert Smith and graduated with a Master of Music in composition. While at the Moores School he received the Seraphim composition prize, for his String Quartet No. 2, and participated in SCI’s region VI conference in San Antonio. In the fall of 2005, he began doctoral studies at Indiana University where he studied with David Dzubay, Chinary Ung, Richard Wernick, Claude Baker, and P.Q. Phan. 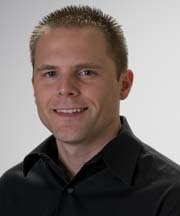 Upon graduation, Dr. Jaquith was hired as an Assistant Professor of Theory and Composition at Cedarville University in Ohio, where he continues to teach and compose. Blaze of Autumn is the first of Mr. Jaquith’s works to be performed by a professional orchestra. Recent performances include Shades of Red, performed at the ITG 2010 Conference in Sydney, Australia, Kinesis by the El Paso Youth Symphony Youth Orchestra, Andy Moran Conductor, and Quintet for Brass by the Mirari Brass Quintet on their southwest tour. Blaze of Autumn (Five Images from Fall) was inspired by fall in the Midwest. After spending my formative years as a native Californian, I was very impressed with the beautiful fall colors found in Ohio, where I moved for college. This work seeks to capture the magnificence found in autumn as green explodes into radiant reds, oranges, and yellows. There are five brief movements, each an image of a fall scene. I. Dawn’s Revelation, II. Breath of Frost, III. Indian Summer, IV. Frost’s Bite, V. Blaze of Autumn. Nathan Kelly is a film and concert composer and professional orchestrator. 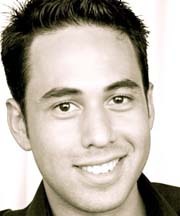 Working in Broadway, television and film, some of his orchestrating credits include The Tony Awards, Curtains, Dionne Warwick, Sir André Previn, Nickelodeon Television, Sarah Brightman, The Kennedy Center, Walt Disney Music Studios, Radio City Music Hall, Lea Salonga, Stephen Schwartz’s Opera and Andrea Bocelli. He studied at The University of Texas, North Texas, The Juilliard School, The University of Southern California and privately with the orchestrators of Stephen Sondheim and Alan Menken. He has composed two symphonies, a violin concerto, a harp concerto, a mass, and works for vocalists. He has received several commissions from orchestras around the world. The Legend of Pecos Bill is Mr. Kelly’s first work to be performed by a professional orchestra. While a composer-in-residence in Wyoming, I wanted to capture the landscape of the open prairies and quiet nights that seemed to inspire memories of my favorite American tall-tales that I heard when I was a kid growing up in Texas, the Legend of Pecos Bill was one of them. After abandoning the idea of using a narrator, I decided to approach this idealized, highly energetic, and larger-than-life hero by depicting some of his tall-tales through the suggestive use of orchestrating and harmonizing a singular short theme which could be continually altered throughout the set of 5 attaca movements which feature the main characters and dramatic elements of the stories: I. Pecos Bill Shows Off, II, The Appearance of Slue-Foot Sue, III. Lightning, The Horse, IV. The West, and V. Finale (which is a coda that is reminiscent of the beginning, and serves to bookend the piece). Carl Schimmel Winner of Columbia University’s Joseph Bearns Prize and the 2010 Lee Ettelson Award, Carl Schimmel has received honors and awards from many organizations, including the MacDowell Colony, Yaddo, Copland House, the Seoul International Composition Competition, the National Federation of Music Clubs, the New York Youth Symphony First Music Awards, NACWPI, SCI, and ASCAP. His works have been performed in Carnegie Hall’s Weill Hall, Merkin Hall in New York, Severance Hall in Cleveland, the National Arts Centre in Ottawa, St. Martin-in-the-Fields in London, Orchestra Hall in Minneapolis, and at other venues throughout North America, Europe, and Asia. He has received performances and commissions from the California EAR Unit, the Left Coast Chamber Ensemble, the Minnesota Orchestra, North/South Consonance, saxophonist Taimur Sullivan, bass clarinetist Henri Bok, Line C3 Percussion Ensemble, Cross Sound Music Festival, the Da Capo Chamber Players, Lucy Shelton, the Mexico City Woodwind Quintet, Flexible Music, counter)induction, and many others. A graduate of Duke University (Ph.D. Music Composition) and the Yale School of Music (M.M. 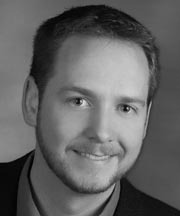 Music Composition), he is currently Assistant Professor of Music Theory and Composition at Illinois State University in Normal, IL. Please visit http://www.carlschimmel.com. rite. apotheosis. is an experiment in (melo-?) drama. The frenetic and exaggerated gestures in the work are typical of my recent music, and some have termed me an “expressionist.” I frequently dabble in humor, but this work seems to have little of it – although the sparse “cha-cha-cha” sections are light and tiptoed; maybe they will make some in the audience smile. The musical material is drawn from and moves across a special set of seven-note scales (major, harmonic minor, melodic minor, and quasi-octatonic). But my building materials are less relevant than the emotional import of the music. There is no plot to this music per se, but the title reflects the general narrative progression and shift of mood that takes place. Matthew Kraemer Recognized for his “musical sensitivity” and “energized sense of interpretation”, conductor Matthew Kraemer enters his second season as associate conductor of the Buffalo Philharmonic Orchestra in September 2010. In this role he appears regularly on each of the orchestra’s major series, including subscription weeks, Pops, Family, and summer concerts. He plays a vital role in the BPO’s award-winning education and community engagement programs, in addition to assisting Music Director JoAnn Falletta during recording sessions and on tour. Upcoming season highlights include performances of Miguel del Aguila’s The Fall of Cuzco, a fully-staged production of Prokofiev’s Romeo and Juliet, and tour performances with Idina Menzel in Atlanta, Indianapolis, Long Island, Miami, Orange County, St. Louis, and West Palm Beach. Kraemer additionally appears this season as guest conductor with the Atlanta, Indianapolis, Jacksonville, and Virginia symphony orchestras. 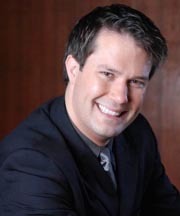 Recipient of the distinguished Herbert von Karajan Conducting Fellowship and the Bruno Walter Career Development Grant, Mr. Kraemer served a residency with the Vienna Philharmonic at the Salzburg Music Festival during the summer of 2006. His conducting engagements include appearances with the symphony orchestras of Akron, Asheville, Baltimore, Canton, Jacksonville, and Richmond (IN), the Reno Chamber Orchestra, and in Europe with the Vidin Philharmonic and the Orquesta de Cadaqués. Equally at home in the ballet pit, he has led fully-staged productions with Virginia Ballet Theatre, Ohio Ballet, Neglia Ballet Artists, and Todd Rosenlieb Dance. Mr. Kraemer has collaborated with many leading artists, including Awadagin Pratt, the Los Angeles Guitar Quartet, Philippe Quint, Jennifer Koh, Ben Folds, Chris Botti, Idina Menzel, and Richard Stolzman, among others. Prior to his appointment in Buffalo, Mr. Kraemer completed a highly successful, three-year tenure as associate conductor of the Virginia Symphony Orchestra. He has held positions with the Akron Symphony and the Akron Youth Symphony orchestras, leading the AYS into its 50th anniversary season with a performance in Carnegie Hall. Increasingly recognized for his passionate advocacy for music education and his devotion to audience development, he has created numerous arts education programs and continues his work with young musicians as conductor, clinician and lecturer at many music festivals and in public schools. An Indiana native, Mr. Kraemer studied conducting in Vienna, Austria with Salvador Mas Conde and was twice a fellowship conductor at the American Academy of Conducting at Aspen. He has additionally participated in the National Arts Center Conductor’s Program in Ottawa, Canada. His conducting teachers include David Zinman, Robert Spano, Stanley DeRusha, and Jorma Panula. Mr. Kraemer is a graduate of Butler University and the University of Nevada, Reno, where he assisted former Cincinnati Symphony concertmaster Phillip Ruder. An accomplished violinist in his own right, he was a member of the Nightingale String Quartet. Fluent in German and French, his principal violin teachers include Phillip Ruder, Herbert Greenberg, and Larry Shapiro. When he is not performing, Mr. Kraemer enjoys cooking, running, and reading. He and his wife Megan reside in Buffalo, NY.